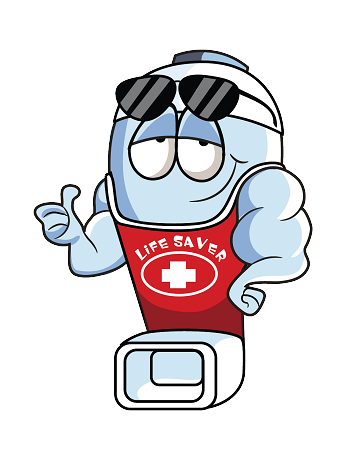 Theres nothing that makes Puffer happier than doing his job being a LIFESAVER! All it takes is just one wheeze and he is up and ready to dive right in and help widen those airways. In his spare time he gives free lessons in CPR. He also has a funny habit of flossing his teeth up to a dozen times a day. 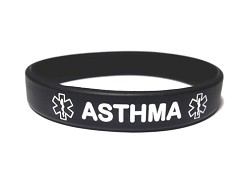 If your child has asthma, then the PUFFER asthma alert tag is the one for you! Whether your child has asthma, a dairy allergy, both or several allergies, AllerMates allergy and health alert tags are perfect for your child. The character tag measures 1 1/4 inch x 3/4 inches and the second tag measures 1 1/2 x 3/4 inches. 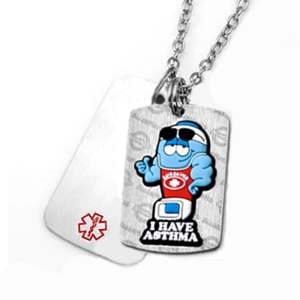 The second tag, which is longer, can be engraved on both sides with emergency information, and has a medical symbol at bottom, visible under the character when hanging. 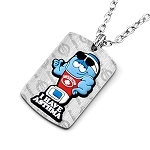 Hypo allergenic, nickel free, cool brushed metal with a dimensional rubber character makes the MediMates tags unique and eye catching. Turn the tag around for more alert information.